Madonna today announced that Montreal born producer and DJ Lunice will open the Rebel Heart Tour dates in Edmonton on October 11th and 12th at Rexall Place, and Las Vegas on October 24th at MGM Grand Garden Arena. A disciple of hip hop, Lunice is an international sensation - overthrowing the live arena everywhere he goes with his unique style and approach to music. Additionally, Los Angeles-based DJ, producer and pop artist Michael Diamond will open more dates on the Rebel Heart Tour including San Jose on October 19th at SAP Center and Glendale on October 22nd at Gila River Arena. 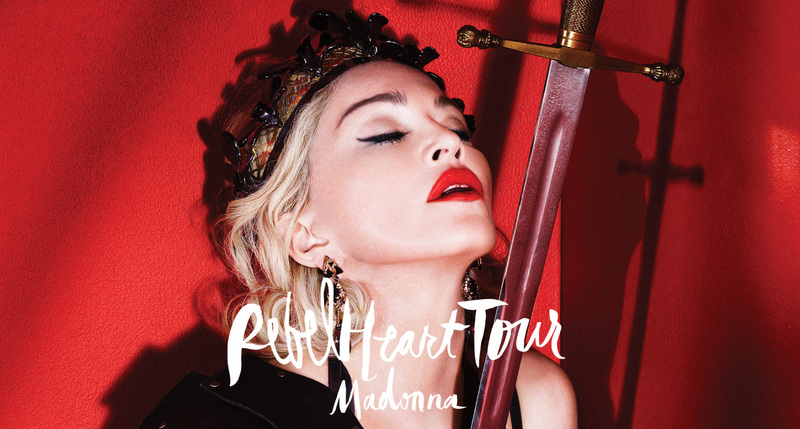 Diamond who is a producer on Madonna's heralded Rebel Heart album has already wrapped a support slot in five cities with the Material Girl including Boston, Philadelphia, Chicago, Atlantic City, and Toronto. Are you coming to argentina next year?? Im hoping you do so, its been a long time you came here, we miss you! I'm so excited about the opening acts! This is getting better and better! I'm trying. Let's see if my new # works out.